The man, 52-year-old Richard Dumont, was driving on Messalonskee Lake near the Oakland boat landing when the accident occurred Saturday afternoon. OAKLAND — The death on Saturday of a snowmobiler from Massachusetts has prompted the Friends of Messalonskee, a nonprofit association that works to preserve Messalonskee Lake, to offer to donate money for some kind of signage in the lake’s north bay that will warn people about the thin ice there. Ed Pearl, a former vice president of the association, said the association is awaiting a call from the Maine Warden Service to find out if the idea would pose any problems or break any regulations. While the association said it will pay for the hazard signs, it won’t install it, he said. Pearl did contact someone who offered to do so. 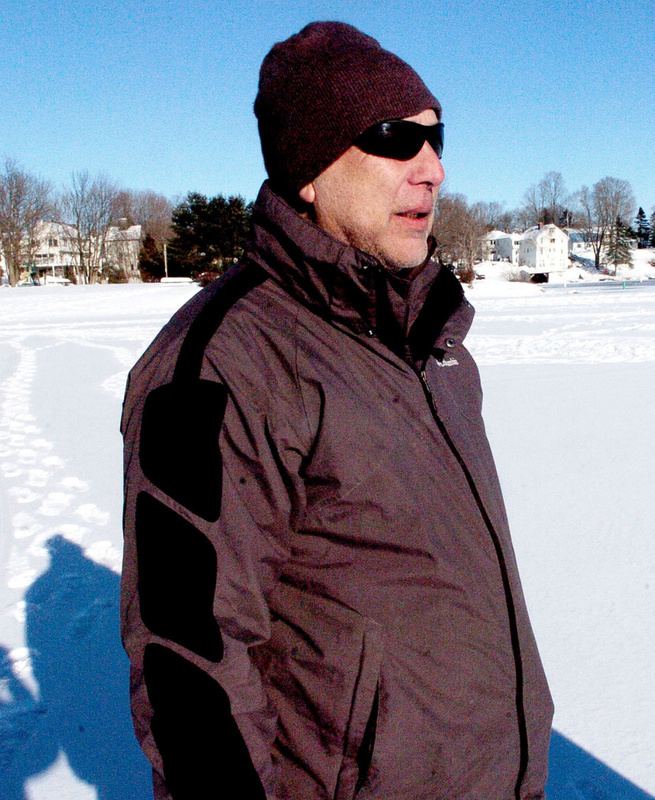 The association is considering the idea to keep people safe after Richard Dumont, 52, of North Attleboro, Massachusetts, died Saturday afternoon while snowmobiling on the north bay near the Oakland boat landing. Dumont was riding a friend and business partner’s Polaris 550 snowmobile toward the outlet of the lake, also known as Snow Pond, when the snowmobile plunged through thin ice into the frigid water, according to a news release from the Maine Warden Service. A Fire Department crew reached Dumont with an ice rescue sled and pulled him from the water, according to the release. Emergency responders with Delta Ambulance tried to revive Dumont and he was taken to Inland Hospital in Waterville, where he was pronounced dead. Pearl said he’s seen all-terrain vehicles and snowmobiles fall through ice into the lake before, though he can’t recall the last time there was a fatality on the lake. The Friends of Messalonskee bought a cold-water suit for the Oakland Fire Department for such instances, he said. Most locals know not to snowmobile near that part of the lake, he said. A snowmobile trail runs through the trees opposite the boat landing, but it doesn’t circle onto the lake’s north bay. Megan Belmont, of Clinton, who was ice fishing nearby over the weekend, said it was easy to make out the open water in the bay on Saturday. She said she’d seen a number of snowmobilers on Sunday, and while some stopped to look at the bay, none went off the trail. A Willey Point resident who asked not to be identified said most locals know that the north end of the lake never freezes, and only gets a thin coat of ice on very cold days. The dams keep the water running under the ice at 3 mph, eroding it from underneath. He said some ice fishermen had advised Dumont before the accident not to go that way. Tony Noonan, of Waterville, was also ice fishing on Sunday and said that local knowledge could have saved the victim in this case. Around 2 p.m., the ice was 8 inches thick where Noonan was ice fishing, but it was obviously thinner, or there was open water, farther into the bay where the accident occurred. The Maine Warden Service said in its release that it will continue to investigate the fatal snowmobile accident. During the period of Nov. 1, 2015, to April 10, 2016, game wardens responded to 182 reports of snowmobile-related incidents, including 12 search-and-rescue incidents. 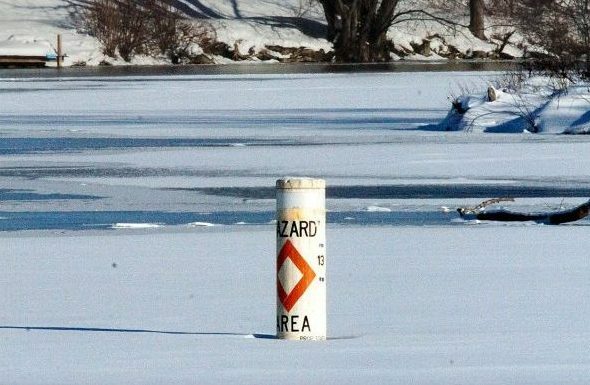 General guidelines on ice safety call for waiting until a body of water has at least 4 inches of ice to walk on it, and 6 to 8 inches to snowmobile or drive an all-terrain vehicle on it.